Air New Zealand chief executive Christopher Luxon will take his place on an expanded Virgin Australia board as that airline continues its struggle to make money in the tough Australian market. Chief executives of other airline co-owners — Singapore Airlines and Etihad — have also been appointed as directors, giving Virgin considerable grunt but leading to the implementation of special protocols to deal with potential conflict of interest issues. The three airlines own close to 70 per cent of Virgin, with Air New Zealand the biggest shareholder, last month taking its stake to 25.99 per cent, the maximum allowed under foreign investment rules. Luxon said then Air New Zealand had no intention of increasing its stake, which is possible under creep provisions. "We're very comfortable with the level of ownership we have," he said last month. The new directors would be "fixated on making sure Virgin gets to profitability". Virgin management had been making good progress both in revenue and cost terms on improving the business, Luxon said. Joining him on the board will be Etihad chief executive James Hogan, an Australian with more than 30 years of travel industry experience, and Singapore Airlines director and chief executive Goh Choon Phong. 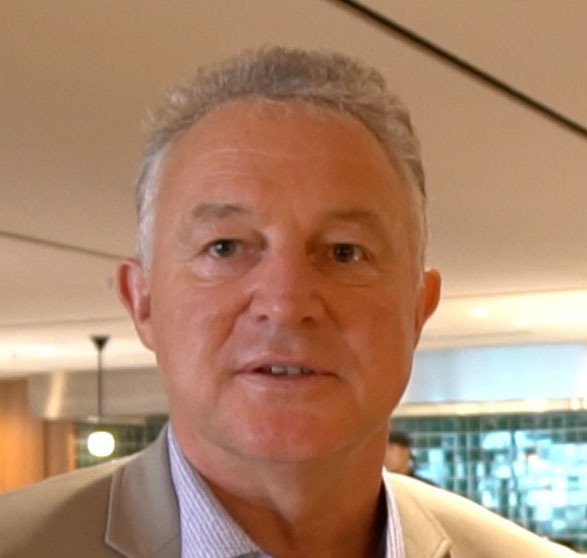 In consultation with the Australian Competition and Consumer Commission and the Department of Infrastructure and Regional Development, Virgin adopted a nominee director protocol to manage conflicts of interest and confidential information, said Neil Chatfield, Virgin chairman. "The board will retain its overall independence given that I, as current chairman, am an independent director and the company's constitution states that the chairman has a casting vote if there is an equality of votes at a meeting of directors." Standalone, Qantas has the stronger balance sheet. The big unknown is the willingness of Virgin's strategic partners to provide funding if losses are sustained and profitability does not improve. Virgin Australia lost close to $100 million in its latest half-year result and is reviewing the future of up to 40 management positions in Christchurch, and has axed flights to Dunedin. A Sydney-based analyst for Morningstar, Scott Carroll, said the capacity war across the Tasman could continue. "Our preference would be for carriers to pull capacity out of the market for profitability to improve, however major cuts appear unlikely," Carroll said. "Management commentary [from Virgin and Qantas] suggests a more rational competitive environment could emerge, although this has been touted before and failed to materialise"
Qantas — which has also suffered hefty losses — has said it will not increase capacity in the September quarter and the Virgin brand has been reducing capacity for the past four months but because of their low-cost carriers Tiger and Jetstar they were still putting in capacity at the group level. Air New Zealand has so far invested close to $400 million in Virgin as part of a strategy to gain access to the sixth biggest domestic aviation market in the world and rationalise transtasman services. Last year Virgin Australia's airline partners took up pro-rata shares in a A$350 million ($375 million) rights issue. Carroll said Virgin's strategic airline partners could be tapped for more. "It will depend on what happens over the next 12-24 months — if they keep losing money it is a possibility," he said. "Standalone, Qantas has the stronger balance sheet. The big unknown is the willingness of Virgin's strategic partners to provide funding if losses are sustained and profitability does not improve." Air New Zealand passengers will be able to use their handheld portable electronic devices in flight mode for the duration of their journey. From July 16 the airline will allow the use of tablets, smartphones, e-readers and mp3 players during all phases of flight provided the devices are in non-transmitting flight mode. Previously passengers could not use their devices during the taxi, take-off and landing phases of flight. The airline is extending use initially for customers travelling on domestic and international services on Airbus A320 and Boeing 787-9, 777-200 and 777-300 aircraft, with plans to include regional turbo prop and Boeing 767-300 fleets following Civil Aviation Authority approval. Air New Zealand's general manager customer experience Carrie Hurihanganui said the change would give passengers further freedom to use their hand-held devices to take photos, listen to music or watch pre-loaded movies gate to gate. She said the aim was to give passengers more choice and "their time back". It could be 20 minutes before seatbelt signs came off and use of devices was permitted at present. Last year the United States Federal Aviation Administration published guidance allowing for the expanded use of portable electronic devices following analysis by experts from airlines, aircraft manufacturers, pilots' associations, cabin crew and mobile technology manufacturers, Air New Zealand said.